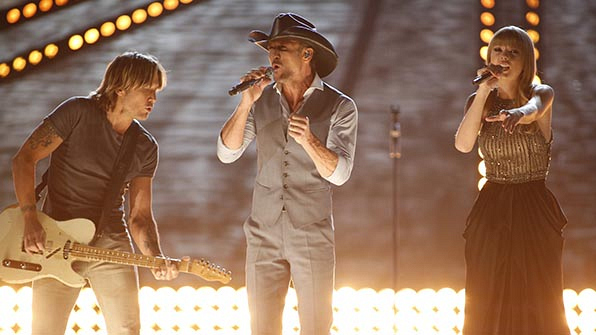 When Tim McGraw got a little help from his famous friends. When Taylor Swift and Keith Urban joined McGraw to perform the country crooner’s hit song “Highway Don’t Care” at the 2013 Awards, it was one of the night’s most memorable moments. And look at that lighting!